The role of US-guided fine-needle aspiration biopsy (US-FNAB) of thyroid nodules is not well-established in children. To retrospectively assess the utility of US-FNAB of pediatric thyroid nodules. We reviewed Department of Radiology records to identify children who underwent US-FNAB of the thyroid between 2005 and 2013. 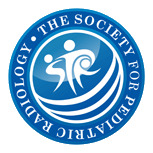 Two board-certified pediatric radiologists reviewed pre-procedural thyroid US exams and documented findings by consensus. We recorded cytopathology findings and compared them to surgical pathology diagnoses if the nodule was resected. We also recorded demographic information, use of sedation or general anesthesia, and presence of on-site cytopathological feedback. The Student’s t-test was used to compare continuous data; the Fisher exact test was used to compare proportions. US-FNAB was conducted on a total of 86 thyroid nodules in 70 children; 56 were girls (80%). Seventy-eight of the 86 (90.7%) US-FNAB procedures were diagnostic; 69/78 (88.5%) diagnostic specimens were benign (including six indeterminate follicular lesions that were proved at surgery to be benign) and 9/78 (11.5%) were malignant/suspicious for malignancy (all proved to be papillary carcinomas). There was no difference in size of benign vs. malignant lesions (P = 0.82) or diagnostic vs. non-diagnostic lesions (P = 0.87). Gender (P = 0.19), use of sedation/general anesthesia (P = 0.99), and presence of onsite cytopathological feedback (P = 0.99) did not affect diagnostic adequacy. Microcalcifications (P < 0.0001; odds ratio [OR] = 113.7) and coarse calcifications (P = 0.03; OR = 19.4) were associated with malignancy. Diagnoses at cytopathology and surgical pathology were concordant in 27/29 (93.1%) nodules; no US-FNAB procedure yielded false-positive or false-negative results for malignancy. 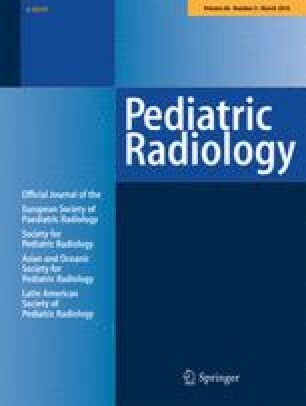 US-FNAB of pediatric thyroid nodules is feasible, allows diagnostic cytopathological evaluation, and correlates with surgical pathology results in resected nodules.